This is a game where you use your arrow keys to cast a number of different spells to help you progress through the levels. 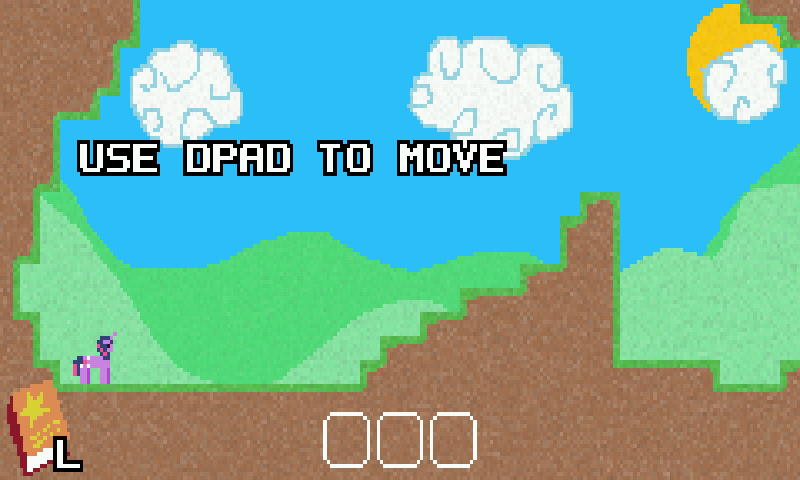 It has a dozen level to go through and a challenge mode to test your wits. UPDATE: Now with legacy filesystem support! ;-) In other words, if it was crashing for you after level 1, it shouldn't any more. The marvelous ptitSeb ported the love engine to the Pandora; the good people at stabyourself.net wrote a game for said engine; Hasbro created a show about talking pastel horsies. Ultra_Jon wantonly mashed together all these pieces into a package that feels somewhat at home on the Pandora. 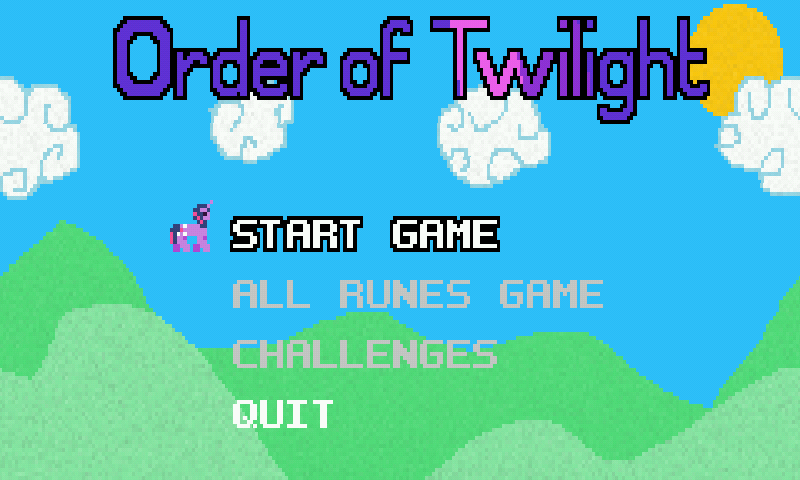 This version of Order of Twilight has had its hardcoded controls remapped and some of its in-game text and graphics reworked to reflect the new Pandora-fied controls. If you haven't played it on its original platform(s), you are missing out; personally I find the original design to be somewhat more intuitively integrated into the story. This game was made with a desktop keyboard solely in mind; the new controls are certainly comfortable (IMHO), but players may not find some of the game's secrets out as readily. Anyway, I'm proud enough of my packaging ability that I uploaded it to the repo. Known bugs: flicker in between map tiles; nothing I can do about it. Have fun, and let me know if I missed anything or made any mistakes. Zomg! Ponies! Gonna try it now!